A well-designed monument sign promotes your brand, announces your headquarters and supports your environment. Using a wide range of materials, colors and architectural elements, our custom monument signs will leave a first and lasting impression that you can be proud of. Often lower in height, monument signs can be fabricated to your exact specifications and needs. 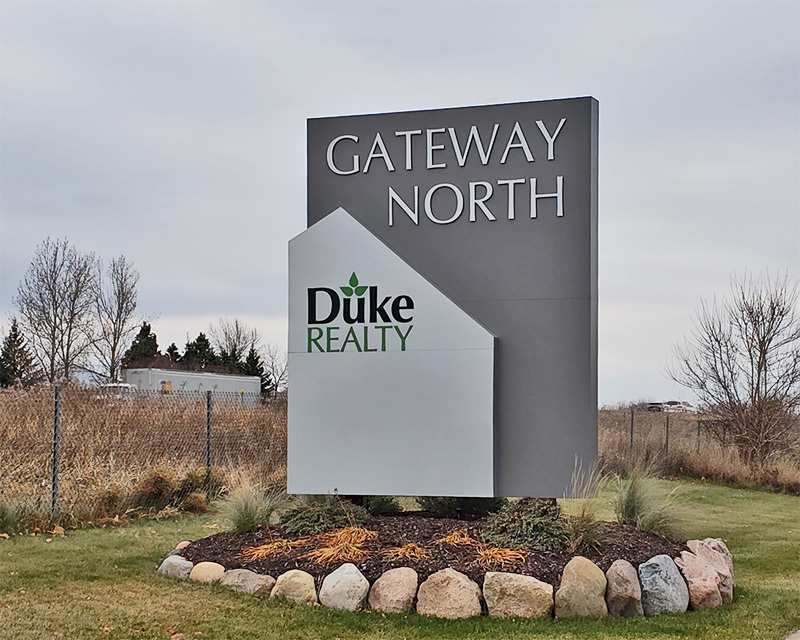 Many retail stores, churches, apartments, and office buildings notice the impact custom monument signs can make in welcoming potential visitors and advertising the company or organization. That’s because monument signs draw attention to your name and brand while providing a classic, upscale, and impressive look. Monument sign cabinets are typically fabricated out of aluminum with an aluminum base. Although, that’s not always the case. Alternative base materials such as brick, block, precast and stone can be used for a durable, high-end look. While there are options such as imitation block and stone, which are actually created out of foam, we don’t advocate the use of those materials. Minnesota is known for having harsh conditions, which means our monument signs are fabricated with durability in mind. We can create a cohesive look by imitating the architectural elements, from color palette to texture, of your building—whether it is made of brick, stone, or has a stucco texture. If you don’t want to match the building exactly, we can work with you to come up with a design that’s complementary but still stands out. Take it one step further and enhance your company’s message after dark using internal illuminating LED lights. Depending on your style, you could even shine a spotlight from the ground or with gooseneck lighting from above. To really draw attention, your monument sign could incorporate an LED electronic message center or a combination of all the above. The best part of designing your monument sign is the sheer versatility at your disposal. They come in nearly every size, shape, color, and material imaginable. And with that comes the option to create a sign within your budget. They can be extremely cost-effective, especially when you consider using panels that imitate the costlier stone and brick materials. Wherever your budget places you, there’s an affordable, weather-resistant solution that’s also pleasing to the eye. Part of the reason monument signs are so pleasing to look at is because they’re designed to be at eye-level for most adults. They’re in the direct line of sight for motorists and passersby, so they’re not only meant to be aesthetically pleasing, but they’re also attention grabbing. That means your monument sign is earning its keep as it draws in impulse traffic. Not to mention, monument signs are usually permitted in even the strictest building zones. 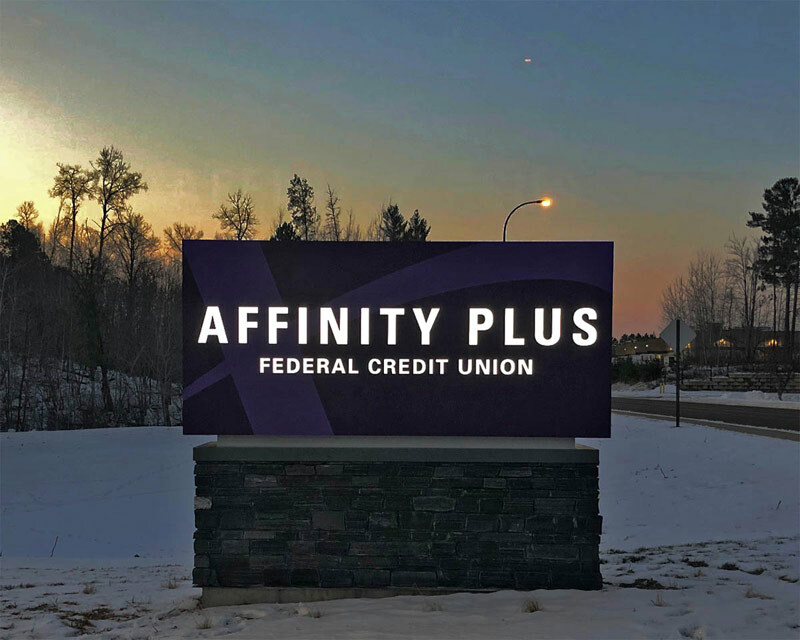 While many larger LED signs can be more strictly regulated, a monument sign’s lower stature and more natural look doesn’t have much trouble getting approval from all the necessary authorizing bodies in your city. The purpose of a monument sign is not only to make your business easy to locate, but also to leave a lasting impression—talk to one of our experts to discuss the wide range of options available. I highly recommend Spectrum Signs for any interior or exterior signs. They did 4 signs for our office in Apple Valley and they all look amazing! The product quality is outstanding and they are quick, efficient and great at communicating through the process and helping us make sure the signs were compliant with our companies standards. I couldn't be happier and I am so glad we went with Spectrum signs. of pylon signs and get all your questions answered.